Fax has become one of the most widely used ways to send official documents in various industries and working sectors. For sending professional Fax documents, one needs to send the documents with a Fax Cover Sheet. A Fax Cover Sheet contains all basic information about the documents in brief that helps the receiver to understand the documents and their purpose easily without reading them. 1. Open the MS Word tool by going to either start menu or desktop icon. 2. Now when the main screen appears, click on File Menu and then click on the New option. 3. A tab will appear on your screen where you can see all available templates. Now click on the “Fax” Template. 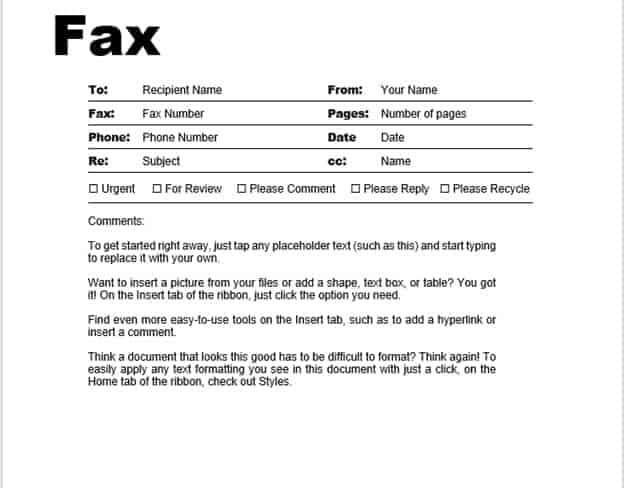 Note that depending on the MS Word version, there could be one or more Fax templates with different names. 4. Choose your preferable Fax Cover Sheet Template by clicking on it. Read More about step by step guide of How to make fax cover sheet. 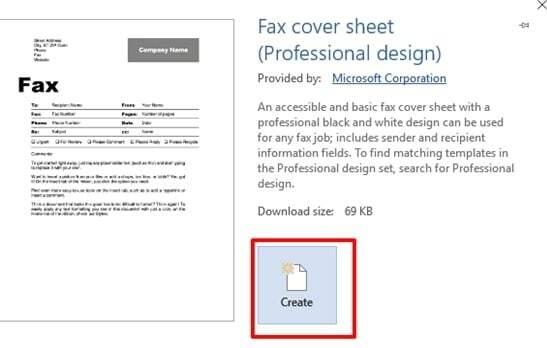 Thus, you can easily create a Fax Cover Sheet on MS Word on your own with just 5 simple steps mentioned above. You can also download some templates online through MS Word directly by clicking on “download new templates”.